Thank you for choosing Steam Master Carpet Cleaning & Restoration, and giving us the opportunity to tell you why we’re so excited to offer our 100% Clean, Fresh and Guaranteed, Steam Master Carpet Cleaning Service in Indianapolis and Surrounding Areas. You are going to love our carpet cleaning service... We Guarantee It! You will receive our complete focus, attention to detail, and unparalleled service using State of the Art Equipment with powerful extraction and special drying that will get your carpets soft, clean and dry in no time. Also we will make sure to deliver best service experience and the best cleaning you’ve ever had. Give us a try. We offer a 100% Guarantee on every job we perform and we have an outstanding reputation in our area. We know you’ll be amazed with Carpet Cleaning, upholstery cleaning, oriental rug cleaning, tile and grout cleaning – and you’ll love your totally thoroughly cleaned floors and upholstery. We guarantee it! 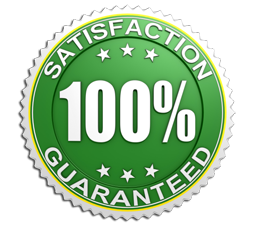 We absolutely, completely, 100% Guarantee your satisfaction with any work we do. No strings, and absolutely no gimmicks! If you're not happy, We will make it right. It’s that easy! We carefully test every carpet we clean and use the cleaning process recommended by the carpets manufacturer. This won't void your carpets warranty and will get your carpets truly clean…. without damaging your fibers. We are family owned and operated and will provide you with excellent service and make your cleaning experience a happy one. Who cares more about taking care of their clients than the owner. We use the finest State-of-The-Art Equipment. Our Equipment allows us to safely control the heat, pressure, and detergent to gently rinse bacteria, pollen, dust mites, and soil from your carpet's fibers, leaving them soft, clean, fresh, and healthy! We want your business for life. Every aspect of our business has been carefully designed to provide you with the best service, and the finest experience possible. All because we want to earn your business for life. Because we HAVE to. Proudly Serving Indianapolis and all the surrounding areas. Noblesville Carpet Cleaning, carpet cleaning Fishers, carpet cleaning service Carmel, Westfield, Zionsville carpet cleaning service, carpet cleaning McCordsville, pet stain removal Geist, carpet cleaning Greenwood, Avon, Pendleton, Fortville carpet cleaning and all the surrounding areas! © 2015 - 2019 Steam Master. All right reserved.